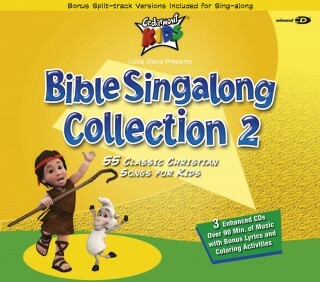 A 3-CD collection of "Songs of Praise," "Hyms," and "Toddler Bible Songs." 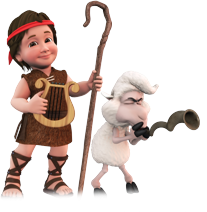 Features 53 classic Bible songs arranged and performed by the Cedarmont Kids. Lyrics and split-track versions are included for singalong. These enhanced CDs include printable activities and coloring pages for your active toddler!